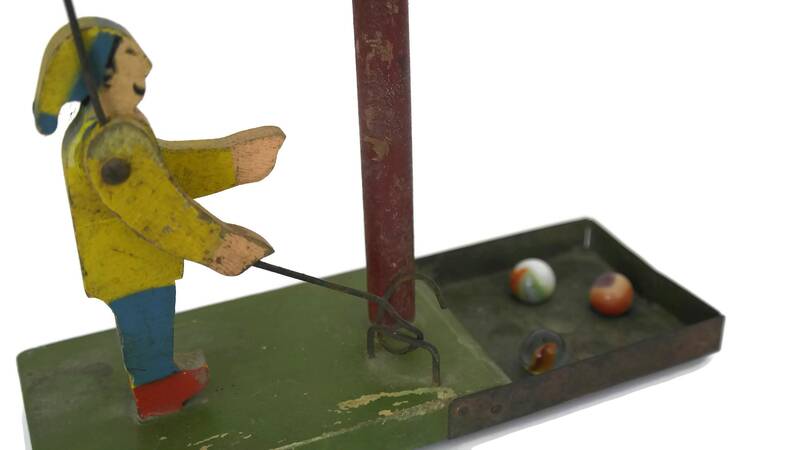 A rare antique wooden marble run toy dating from the early 1900s. 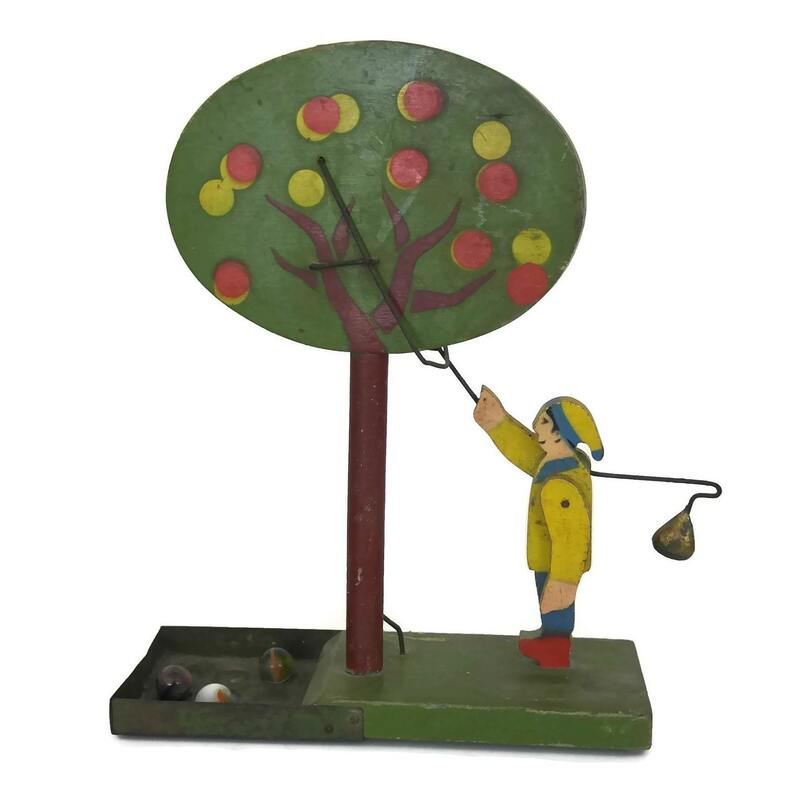 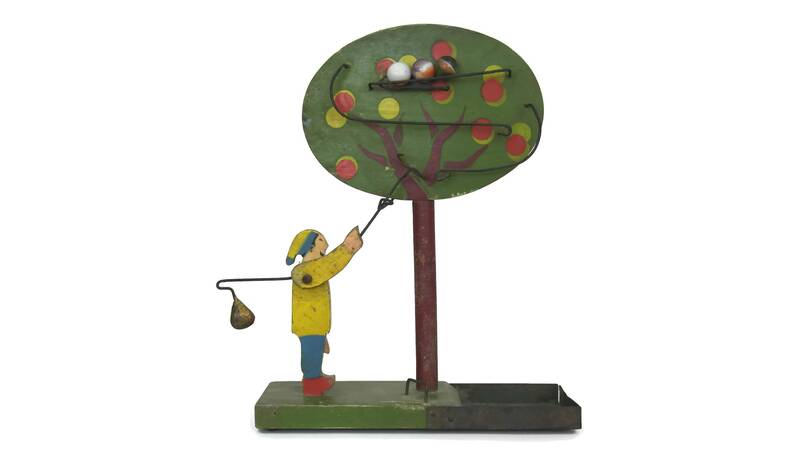 The rustic French folk art game has been hand crafted from wood and features the figure of a man standing beneath an apple tree. 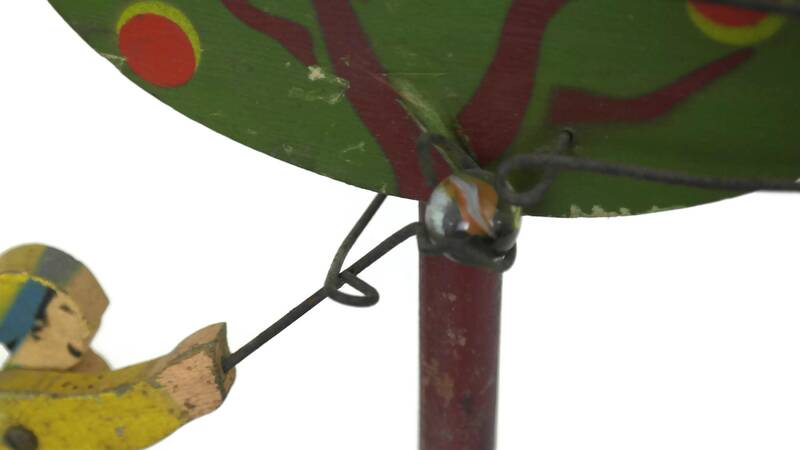 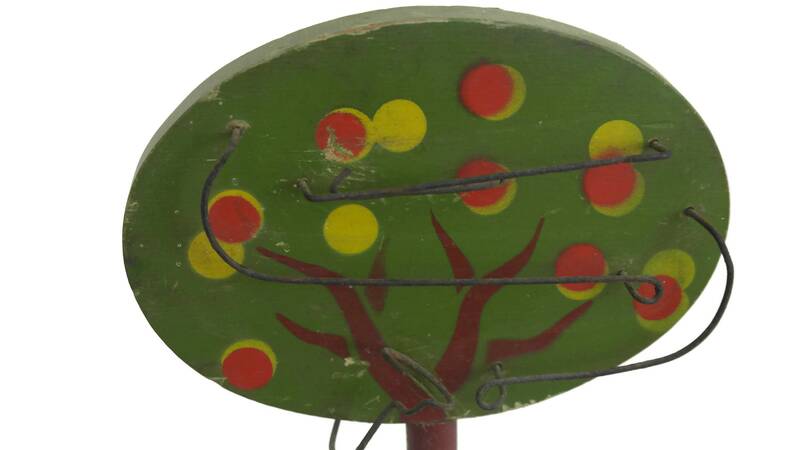 The front of the tree features a a series of metal wires which allow the marbles to run down the tree. 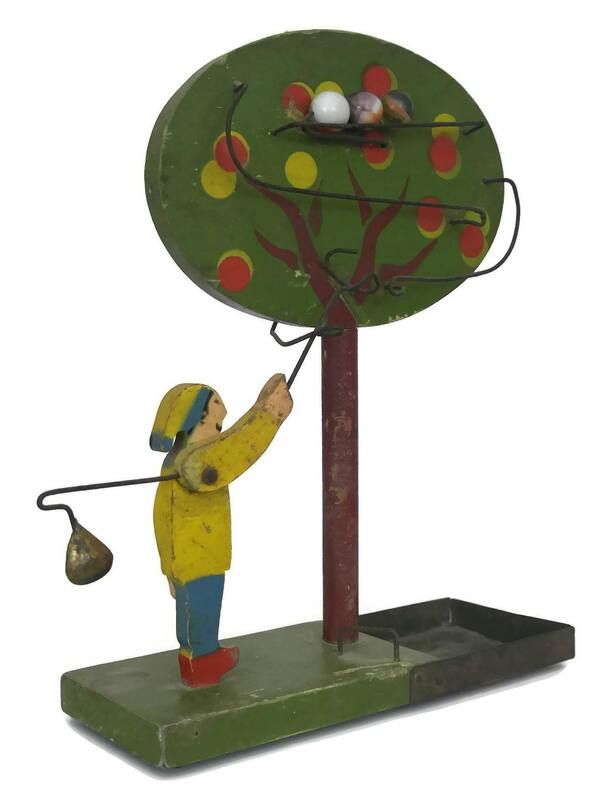 Once a marble reaches the bottom of the tree it is picked up by the man and placed in to a tray at the bottom of the toy. 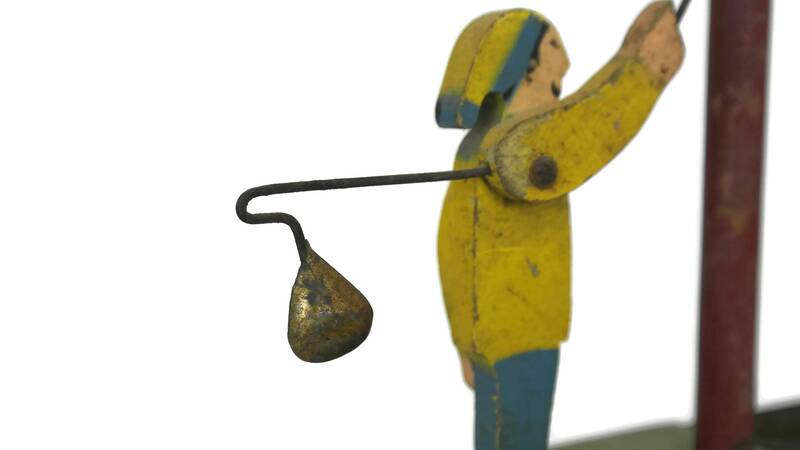 There is a small weight attached to the back of the man's arm to gently lower the marble. 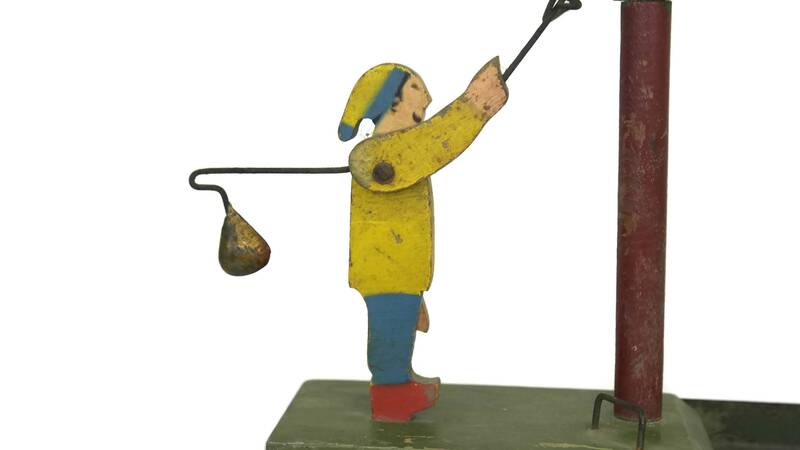 (25 cm x 20 cm x 8 cm). 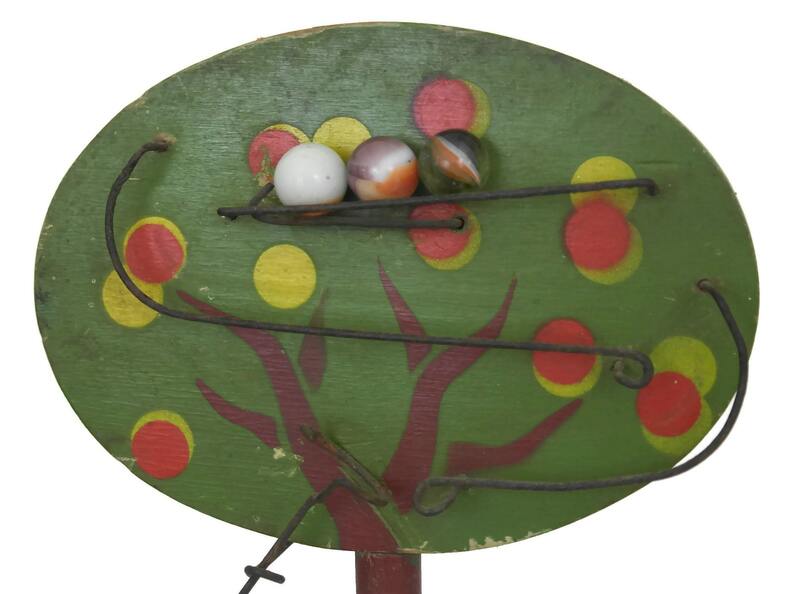 The antique marble run toy is in good condition with signs of age and wear including surface marks, scratches and patina. 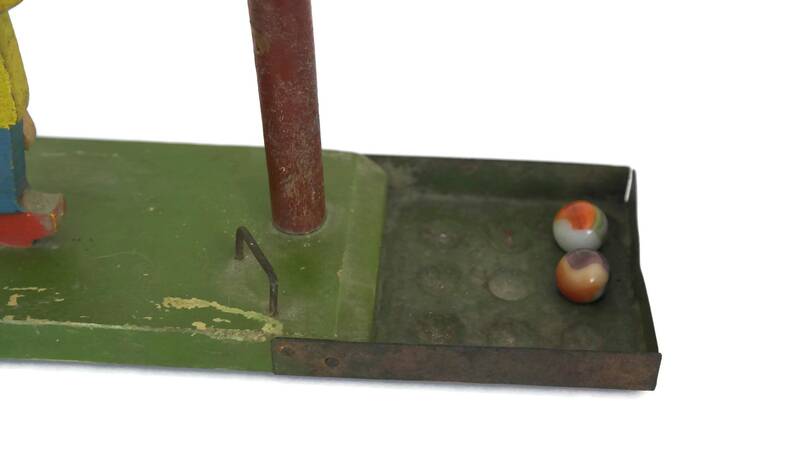 The glass marbles are not original to the game.